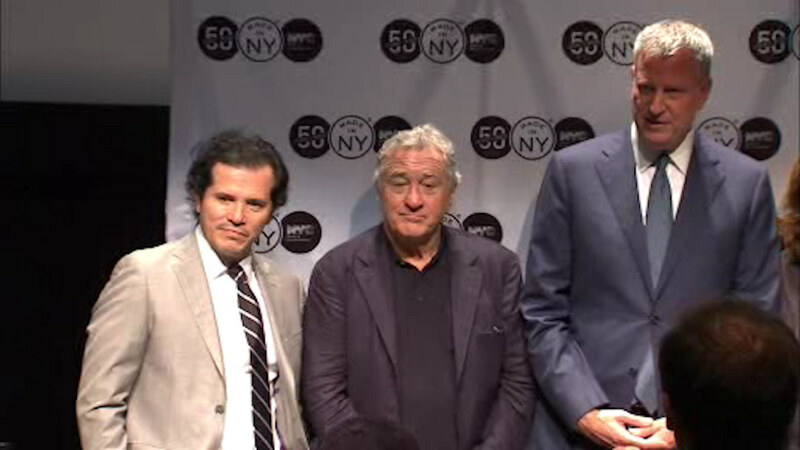 NEW YORK (WABC) -- It was a star-studded celebration of 50 years of film, theater and television made in New York City. Mayor Bill de Blasio named Alicia Keys, Lady Gaga, John Leguizamo and Robert de Niro as the city's entertainment ambassadors. De Niro, native New Yorker says he made his first major movie in New York City more than 40 years ago. This year he filmed his most recent "The Comedian" on the same streets. "I feel like I've been an ambassador for New York for my entire career so thank you for making it official today. From now on, please address me as His Excellency Robert De Niro Ambassador or if you wanted to make it more New York, more authentic, his *expletive* Excellency Robert De Niro Ambassador, you got a problem with that?" De Niro said. Wednesday's event kicks of a yearlong celebration, which will include more than 50 free events across the five boroughs. Some of those events include some free Broadway performances and movie tickets.